Do anyone sell replacement dash light covers.. the blue dome things that cover the bulb and usually cloud up with age?? In trying to search for them, what are they called anyway... domes or filters or diffusers? 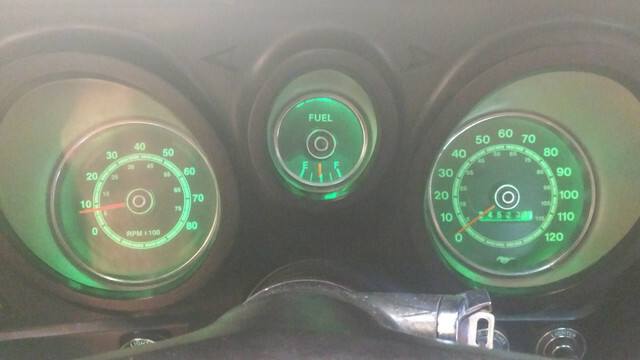 There are 2 on the center gauge cluster, how many are on the center gauge cluster with tach on a 71? Also, if changing to the LEDs that HiPo parts sells, to get the "factory" color you still need to use the dome thingy? There isnt an LED that is that factory green already? 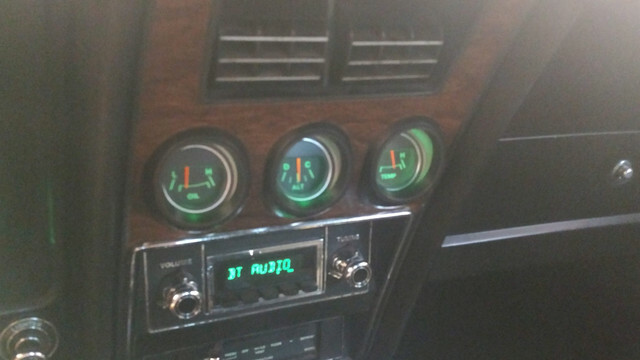 My old 1970 Mustang had instrument lights that looked green and so did my '72. Upgraded to the blue LED's, they were useless when used in conjunction with the domes, so removed the domes and they were better, but was not a fan of the blue and still weren't as bright as I would have hoped. Now running the green LED's without the dome covers, and to me it pretty much looks like the same green that the factory globe'n'dome combination, except brighter and really easy to see the instruments. If using the colored LED's, my advice would be to ditch the domes altogether. if you will run leds do not use the blue covers. i learned the hard way and had to take my dash apart again to remove those blue filters. (04-08-2019, 10:13 AM)72HCODE Wrote: if you will run leds do not use the blue covers. i learned the hard way and had to take my dash apart again to remove those blue filters. +1. also when I took them out they crumbled in my hand. First off the "factory color" wasn't the GREEN we are all used to. It was the result of those (originally blue) covers TURNING color from the heat of an incandescent bulb. As stated with our kits you don't need the covers AND can choose your colors any you wish (for the other guy). The biggest thing is to NOT use and LED or SMD in the alternator warning light (if you have one) and to use the electronic flashers (as LED/SMD's see the resistance of an old style). THE OTHER THING - is that "often" you have to swap the turn signal flasher wires (as it seems Ford didn't see the need to insure one way or the other). Both are the same color and only complete the circuit. I first went with original color LED's with the Blue Lens and it was marginal at best. I switched to a set of Green LED's and removing the covers. I bought a set of 20 green LED T10 bulbs online for < $10. The pictures below were taken during the day outside. I went with LEDs from The Mustang Project, pulled the blue diffusers, and couldn't be happier. Seeing how I'm Red/Green color blind, the green lights have always looked more like white lights to me, so the white LEDs just have my instruments lit up brighter for me. Honestly, I can't tell the difference between the 'alleged' greenish tinge of the dim factory peanut bulbs/blue diffusers and the much brighter white LEDs I went with... aside from the greater brightness, that is. As I've posted before, I used the Elite series II WITH the blue domes WITHOUT any issues. I think it really depends on if the one in the car are good or bad as to whether they get reused. I'm happy with my dash lights. As for replacement domes, I could only find them for the 69-70, but they are way different and do not fit. So the only way to get them would be good used ones.